The barbaric act of tying students to the “cross” is gradually creeping in as a norm. 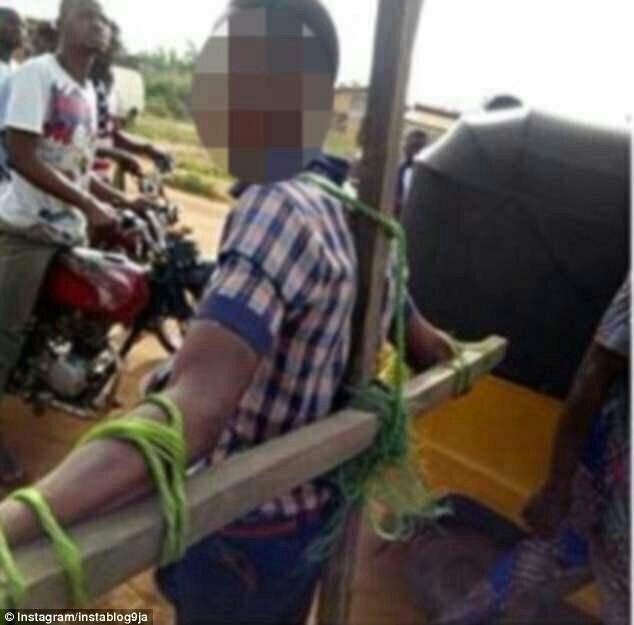 In Ogun state, some students were reportedly tied to the cross and flogged with horsewhip for lateness to school. According to report, three teachers including the headteacher caught in the act were arrested by a police officer who stumbled across the incident. Abimbola Oyeyemi, Ogun State police spokesman promised to follow up the case. 0 Response to "Students Tied To Cross And Whipped For Lateness to School"